Wrongful death occurs when a person dies because of the negligent, reckless or intentional act of another individual or party. A wrongful death lawsuit can be brought by the representative of the decedent’s estate on behalf of the “distributees,” usually the decedent’s immediate family members. Damages recovered in the lawsuit may then be distributed among the family. Losing a loved one can never be undone. At McWhirter, Bellinger & Associates, our South Carolina lawyers can help you during this difficult time by assisting with the legal aspects of a wrongful death lawsuit. Although nothing can bring your loved one back, we can fight to recover compensation on your behalf, which can help you heal and move past this tragedy. For a free case evaluation, please call us at 888-353-5513. Before doing anything else, you need to determine whether the untimely loss of your loved one constitutes a wrongful death case as defined by South Carolina state law. The attorneys at McWhirter, Bellinger & Associates are experienced professionals familiar with wrongful death cases, and will be happy to help you determine if you have a case during your free initial case evaluation. Did you lose a loved one in an accident such as one involving a vehicle, construction site, or other incident? Do you believe the accident that killed your loved one was caused by someone else’s negligence or carelessness? 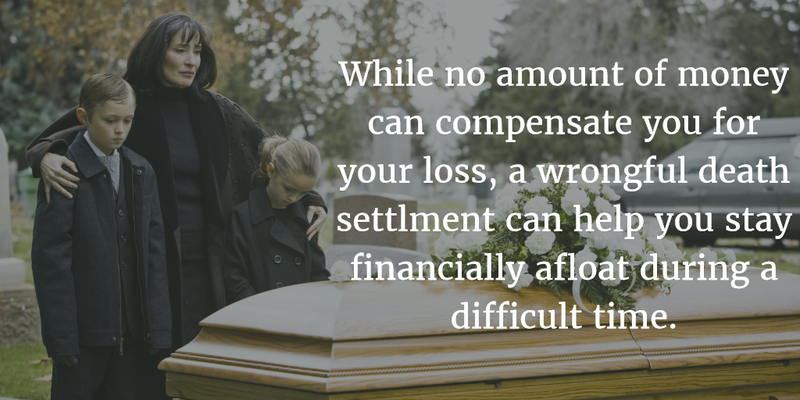 Have you suffered financial losses, emotional suffering, and other consequences as a result of your loved one’s death? If you wish to pursue a wrongful death lawsuit with our attorneys, we will fight tirelessly to recover compensation on your behalf. We offer free case evaluations for exactly this reason—because we know that you want to find out if you have a case before pursuing a wrongful death claim. Who Can File a Wrongful Death Lawsuit in South Carolina? To avoid multiple competing wrongful death claims from arising, South Carolina law treats wrongful death lawsuits similar to personal injury lawsuits for a client who in abstensia. This means that the lawsuit comes from the deceased person’s estate, and as such must be filed by its administrator or executor. Generally, estate executors are named in a will or estate plan. If the deceased has not named an executor, one may be named by the court. Generally, any surviving spouse and children have the primary claim, followed by parents or siblings, followed by nonrelated heirs. However, this can vary from case to case, and there are some exceptions written down in law: for example, parents who abandoned their child before the child turned 18 may not collect anything in the event of the child’s death. In a wrongful death case, your lawyer must operate under certain restrictions. Wrongful death cases are subject to the statute of limitations, or time limits by which they must be filed. They also tend to be rather complex and to require more preparation time than a typical injury lawsuit. Critical evidence that could help your case may deteriorate over time or even disappear, and should, therefore, be preserved as soon as possible. The basis for most wrongful death suits is negligence. A wrongful death attorney will need to show that the wrongdoer’s action, or failure to act in a responsible manner, caused the decedent’s death. A wrongful death lawyer must also have access to experts who can testify regarding the determination of the pecuniary losses to plaintiffs in the case. The statute of limitations for filing a wrongful death claim in South Carolina is three years from the death of your family member. In light of the statute of limitations, it is important that the estate’s executor contact an experienced wrongful death attorney as soon as possible, so we can have as much time as we need to build a strong case. Attorneys at McWhirter, Bellinger & Associates will be able to discuss your legal rights and the potential merits of pursuing a wrongful death case. The last thing on your and your family’s minds at such a tragic time is how to recover financial damages. Unfortunately, however, time is of the essence when it comes to wrongful death legal cases. Not acting promptly despite the grief you are experiencing may deny you and your family needed monetary relief at a time when you could most use it. These losses and consequences can place a heavy burden on you and your family members, at a time when you are also dealing with tremendous grief and tragedy. Our experienced attorneys can help you decide what to do next. We are committed to helping you recover from this traumatic time by holding the responsible party accountable. Damages in a wrongful death case generally take two different forms. Pecuniary damages function as the principal measure of damages in a wrongful death action. State law defines them as fair and just compensation for financial, or “pecuniary” injury that resulted from the decedent’s death. 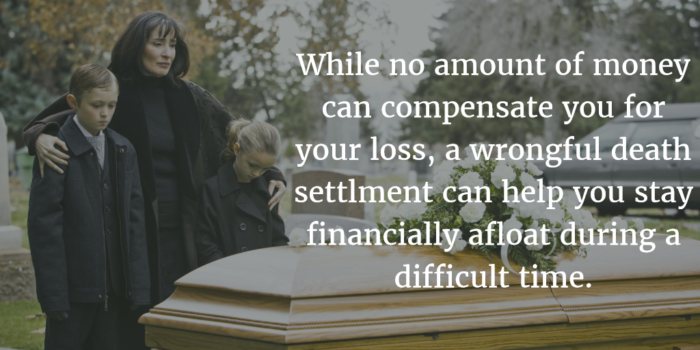 In other words, all the expenses listed above—the funeral expenses, the lost income, the pain and suffering—count as “pecuniary damages” because they are designed to offset specific losses suffered by family members. Punitive damages, as the name suggests, are intended to punish the wrongdoer and deter others from behaving similarly. They are generally reserved for cases in which someone practiced malicious wrongdoing or outrageous negligence. According to South Carolina law, “punitive damages may be awarded only upon a finding of actual damages.” This basically means that there must be significant pecuniary damages in order for punitive damages to be awarded as well. South Carolina allows an estate to bring different types of wrongful death claims against the responsible party. The most common type of claim to bring is a wrongful death claim. In some cases, however, the estate’s representative may bring a “survival action” together with the wrongful death claim to recover damages resulting from mental anguish resulting from their loss. Another important distinction between wrongful death claims and survival actions is how they are taxed. Any damages awarded are generally not part of the estate and are not distributed according to the decedent’s will. This is an important distinction because it makes them not taxable. Damages awarded in a survival action, however, do become part of the estate, and are therefore subject to the inheritance tax. If you have not yet retained counsel, be advised that any information you provide, even if seemingly insignificant, may be used later to weaken any potential case you and your family may have. Therefore, if a representative of an insurance company, the media, or anyone not directly involved in the official investigation approaches you, you are best advised to refer them to your attorney and politely refuse making any statements or signing any releases or settlements. The unexpected death of a loved one is all the more tragic if it was caused by the negligence of another. Such an event can leave a family emotionally and financially devastated. When seeking a prospective personal injury attorney, make sure that he or she has successful experience with wrongful death cases, and that he or she will take prompt action. You should also look for one who is sensitive to you and your family’s pain and suffering. If you want to find out what your legal options are after losing a loved one because of someone else’s negligence, please contact McWhirter, Bellinger & Associates to schedule a free, no-obligation case evaluation. Residents of South Carolina know that our wrongful death attorneys combine a thorough understanding of the law with sincere empathy for your situation. You can contact us by filling out a form or calling 888-353-5513. With offices in Aiken, Camden, Columbia, Lexington, Newberry, Orangeburg, and Sumter, South Carolina, our wrongful death lawyers are ready to serve you.